A little snow never hurts, right? Wrong. Conservation organisation WWF Russia has issued an urgent plea for help as eastern Russia's wildlife faces a potentially disastrous winter – eerily reminiscent of a 1980s cold front that killed over 80 percent of the region's iconic species. WWF Russia's Amur branch coordinator Pavel Fomenko took part in a field expedition at the time of the 1980s freeze to examine the effects of the heavy snowfalls. "It was a horrible picture," he recalls. "The entire valley of the Amba River, which is a big tributary of the Bikin River, looked like a cemetery. There were practically no live animals – neither roe deer, nor wild boars or red deer." 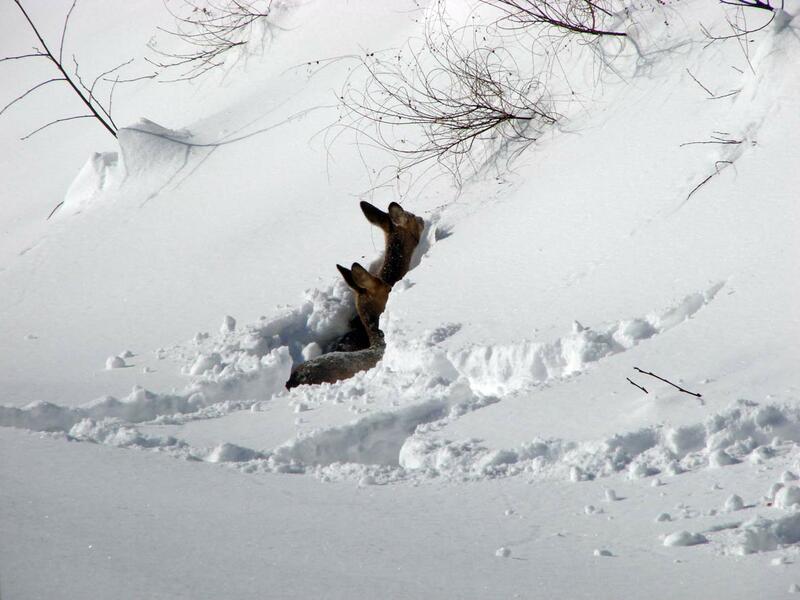 Ungulates (hoofed mammals like deer and boar) are especially sensitive to snowfall as it limits mobility and stops them from being able to find food. 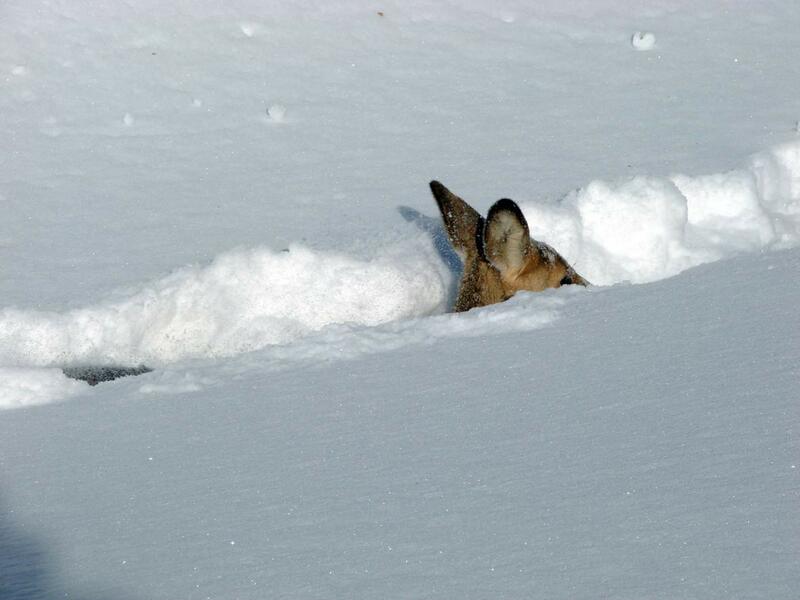 In fact, just 30cm of snow (11 inches) is enough to cause a 'critical situation' for many of these species. Fomenko also warns: "[In] these unfavourable conditions the poachers become very active – they can easily catch their victims on snowmobiles and off-roaders." The poaching crisis has long been a problem in Russia, and perhaps no animal has felt its effects more than the endangered Amur tiger, a species WWF Russia is particularly concerned about during this winter crisis. For Fomenko, what happened during the winter after the '80s storm was more terrifying than the cold front itself, as the ungulate die-off meant top predators were starving and had nowhere to turn but the local villages. "They were left without prey and so naturally besieged villages and small towns, hunting dogs, cows and other animals." Official figures for that winter show that more than 30 Amur tigers were killed in the resulting conflicts with humans. With fewer than 400 remaining in the region, this is not a piece of history we can afford to see repeated. Because it can take decades to restore ungulate populations to stable levels after a mass die-off, WWF has allocated over $5,000 of available funding to buying feed, organising supplementary feeding stations and cutting young trees to increase the volume of food available for browsing. But protecting these animals is not as simple as it seems. "These measures may lead to high concentrations of [wildlife] in the areas that are easily accessed by vehicles," they say. "The grounds will become like a honey pot for all kinds of poachers ... continuous protection of such grounds is necessary, and rangers patrolling the area will need to be equipped with vehicles with good enough cross-country capacity that's on par with the poachers'." Some hunting organisations vetted by the WWF as tiger-friendly have been pitching in, laying feed and monitoring for suspicious behaviour – but they can only cover around 10% of tiger home ranges. At least €13,000 (around US$15,000) will be required to ensure protection measures in the most valuable tiger habitats located beyond the leases of model hunting organisations. It may come as a shock that something as seemingly natural as one season of bad weather could impact such different species of wild animals, but this is a great illustration of how fragile the balance of nature – and our relationship with it – really is. "The disaster is obvious," says Fomenko. "In some areas, many deaths have already been identified. And there remain two winter months still ahead of us with traditionally heavy snowfalls in February and March." Russian residents are encouraged to donate to the rangers by texting the word 'tiger' (тигр) in Russian to 3443. Camera traps bring us a happy update about Zolushka, Russia's 'Cinderella' tiger. Snow leopards with cubs have been caught on camera in one of the few places where these endangered cats still survive in Russia.